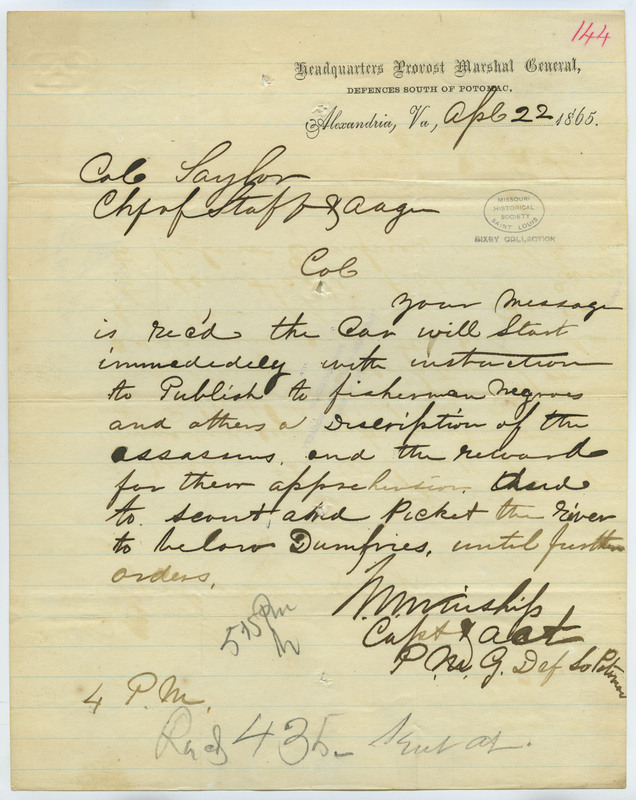 States, "Your message is rec'd the car will start immediately with instruction to Publish to fishermen, negroes and others a Description of the assassins and the reward for their apprehension. And to scout and picket the river to below Dumfries, until further orders. . . ." Relates to the hunt for conspirators in the assassination of Abraham Lincoln.